Moody’s upgrades ratings of QP, IQ and QEWC | Qatar Electricity & Water Co. Global credit rating agency Moody’s has upgraded the outlook on the ‘Aa3’ long-term issuer rating of Qatar Petroleum (QP), the ‘A1’ long-term issuer rating of QP subsidiary Industries Qatar (IQ) and the ‘A1’ long-term issuer rating of Qatar Electricity and Water Company (QEWC) to “stable” from “negative”. Concurrently, it has affirmed the ratings on all the three government-related issuers (GRIs). The upgrade is in line with the rating action on the government and primarily reflects the strong credit links between QP and the sovereign. QP remains at the heart of Qatar’s economy and social development. 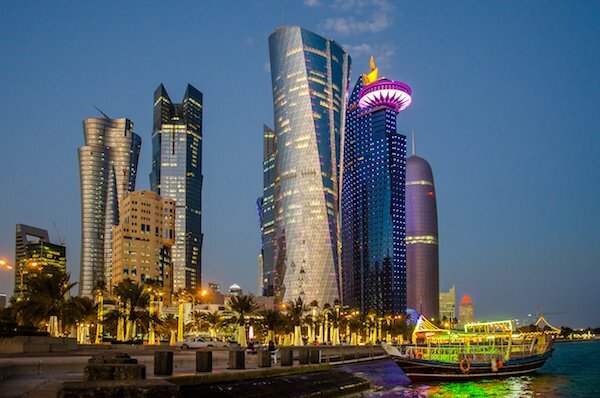 Moody’s estimates that Qatar’s hydrocarbon sector — represented by QP — contributes more than 75% of the government’s revenues both directly (through taxes and royalties, mainly on exports) and indirectly (through dividends from QP), as well as contributing to a large portion of the country’s gross domestic product. “This is reflected in Moody’s very high extraordinary support and very high dependence assumptions. The ongoing dispute with the UAE, Saudi Arabia, Egypt and Bahrain has not had any material impact on the financial and business profile of QP and its baseline credit assessment (BCA), a measure of standalone credit quality, remains at aa3,” it said. Moody’s said the upgrade reflects the strong credit links between IQ and QP as a result of the former’s strategically important position as a subsidiary operating QP’s mature downstream activities. “This translates into Moody’s high extraordinary support and very high dependence assumptions,” it said, adding the affirmation of IQ’s ‘A1’ issuer rating reflects its view that the credit fundamentals of IQ remain strong and that it does not anticipate any deterioration in the company’s credit profile due to the ongoing Gulf crisis. The group historically sold about 7% of its petrochemical and fertiliser volumes and 8%-9% of steel volumes (excluding Qatar Steel’s UAE operations) to the siege countries. These volumes were redirected to other markets last year without incurring any material operational or financial challenges, it said. The rating on QEWC follows the rating action on the government because of the strong credit links between QEWC and the sovereign, given that – together with its joint venture partners – the company owns, operates and manages the entirety of the country’s power and water generating assets. In addition to having a central position in the Qatari power sector, QEWC’s ‘baa1’ BCA is also underpinned by the long-term power and water purchase agreements with Kahramaa (100% owned by the Qatari government), the sole off-taker of QEWC’s power and water; and matching fuel supply agreements with QP. “These strengths largely offset the weakening, albeit strong, financial profile of the company due to an increase in debt to fund capital spending and overseas investments,” it said.